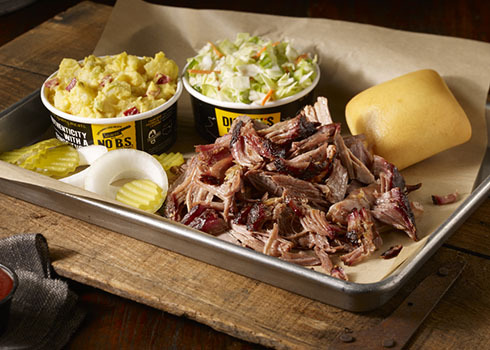 View menus and order from Dickey's BBQ in Clinton Township, Michigan quickly and easily online. Call RC offers fast delivery and catering from the best restaurants in the Clinton Township area. Get great food delivered straight to your office, hotel, or home! 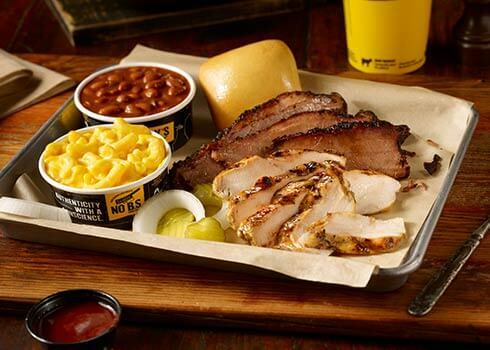 Served with your choice of 2 sides with a buttery roll. Served with 2 sides & a roll. 3oz of brisket, 3oz of sausage and 2 slices of cheese. Served with 2 sides and a roll. Choice of 2 meats and american cheese. Comes with an individual side and a lil' yellow cup. Choice of two meats (1lb each), three medium sides, and six rolls. Feeds up to 6. Sandwich, chips, and a cookie.Price is per person. 10 person minimum. Serves up to 12 people. 80-450 calories per dessert. 10 Person minimum - 2 meats, 3 sides, rolls, relish tray, BBQ sauce & paper ware.